Hair transplant surgeons extract follicles in two ways: strip harvesting and follicular unit extraction. This article will take a closer look at the latter. 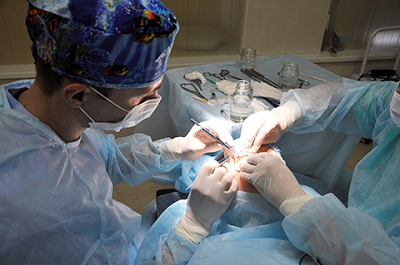 In follicular unit extraction (FUE), the surgeon extracts follicular units (small groups of hair follicles) one by one directly from the scalp, as described by the Hair Transplant Network. The follicular units are usually sourced from baldness-resistant areas (e.g. the back and the sides of the head) called “donor sites”. The surgeon usually implants the follicular units immediately. With a great demand and attention from the hair restoration community, the practice of FUE continues to evolve and become better every day.